While the layperson may see an Instagram feed as an easy way to look at pretty stuff with a Valencia filter, savvy business owners know that these pictures & videos have serious benefits, including create new customers, build foot traffic, and generate revenue. According to Bazaar Voice, 64% of millennials and 53% of baby boomers want more options to share their opinions about brands. Unsurprisingly, studies show consumers trust customer generated content more than all other forms of media. This is because social networks are more than just a place for baby pictures and uncomfortable political memes, they are an amazing lead generation source for your business. Beautiful pictures & videos posted of your product or service are the most effective type of user-generated content. Compared to traditional text-focused customer review sites and the benefits to a rich multi-media review via the social media are plentiful. Yelp, in theory, is a fantastic concept. In practice, however, they have been dishonest practices that undermine the service. Yelp has been scrutinized for their practice of having businesses to pay for their positive customer reviews. Without question, this cheapens and dilutes the quality of the community. Would you go to RottenTomatoes.com if you knew that movie’s could pay to have to up their rating? Me neither. Before a customer can even think to look on Yelp or other review sites, they have to be aware that a business even exists. What is the #1 way consumers learn about products & services? Through word of mouth. Friends, family, co-workers and classmates. are where we learn which restaurants to try, what movies to see, which plumber to use, etc. etc. etc. A benefit of pictures & videos posted on social media is that it will introduce or even remind them that you exist and are awesome! According to a 2013 Pew Research, nearly half of all Internet users have reposted a photo or video they have found online. An equally intriguing stat from the same study is that 54% of all Internet users have posted an original photo or video that they personally have created. According to the National Center for Biotechnology Information, the average customer’s attention span in 2015 was eight seconds, down from 12 seconds in 2000. That means by before this paragraph has been finished, the average person has checked gotten distracted by some type of buzzing on their phone. It is easier to process information more quickly with visual media than written word. It is so much simpler and accurate to look at a beautiful sunset than it is to try to read a description of it. They say a picture is worth a thousand words. If a picture is worth a thousand words, then how much is video worth? Ten thousand? Twenty thousand? Let’s settle on fifteen thousand. 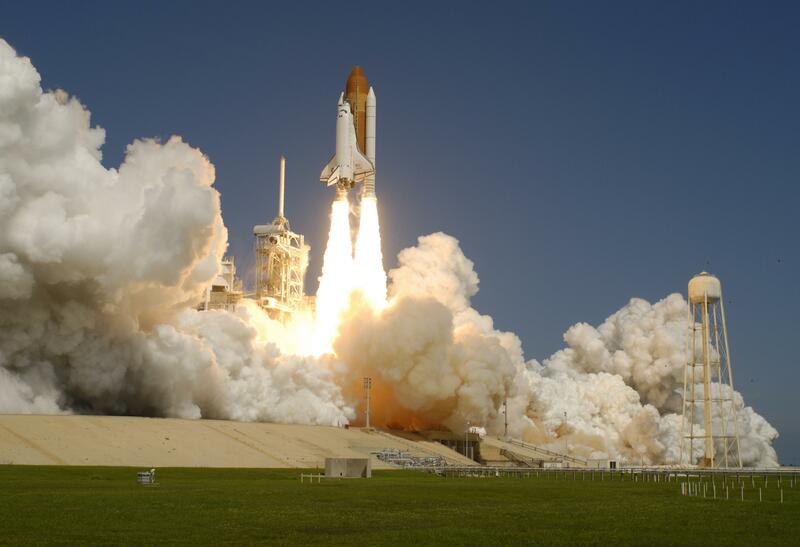 Which is the best way for you to have a better understanding of what a space shuttle launch is like? Video empowers you to see and hear every detail, feel the magnitude . It’s the closest thing you can get to actually being there. For brands, this is no different. The most valuable exposure you hope for is potential customers seeing someone they trust experiencing your product or service. Think of how much more valuable it is for a business like iFly, indoor skydiving, when someone sees a video of their friend magically flying like Superman versus a written review trying to explain it. A video is more eye-catching, relies less on subjectivity, and does a better job storytelling the experience. See UPshow in your business now. Get a FREE demo.